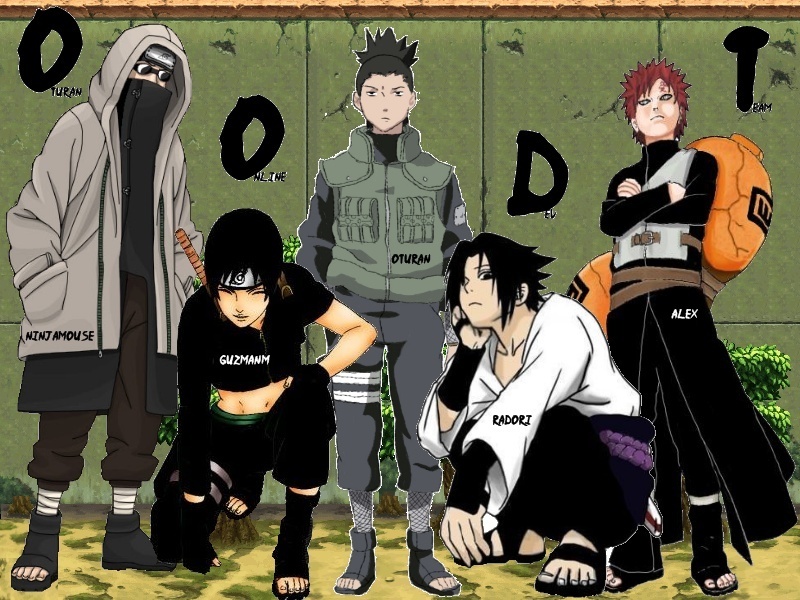 The Official Forum of the naruto orpg, Oturan Online! Hungry? Try checking out the Ramen Shop! Please read the forum rules here! Embrace the power of the Curse Mark! Check it out Here! Hey, this is just a little thing i need to get a cool logo for the team. 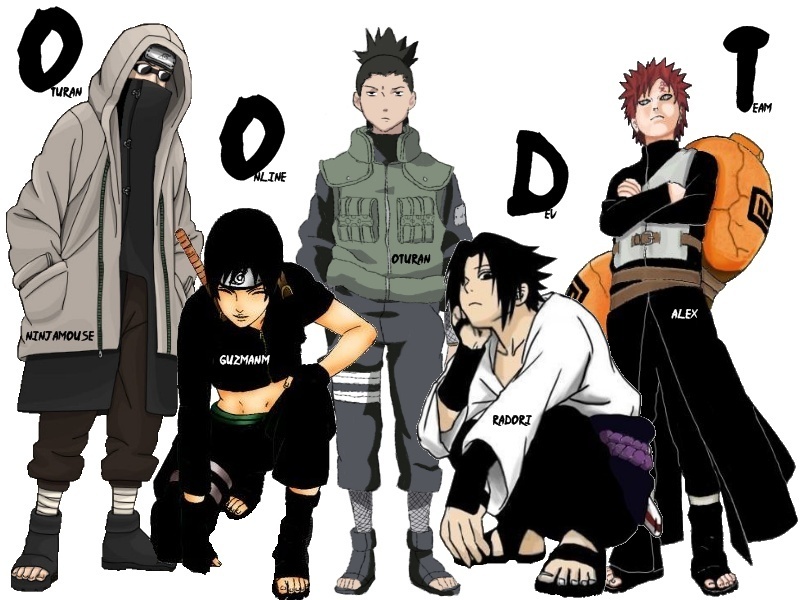 The OODT (oturan online development team), needs more proffesional work if we ever want to be recognized. So we need a logo for the team also along with the banner! Later the banner will show our in game characters but for now, it will show each of our favorite characters all together working as a team! So please post your favorite characters if your on this list! Irhymer basically codes, sprites, and builds the game world all in one, with help from other staff members. Guzman creates almost all visuals of the game. He creates our new custom sprites, that a much better then the original! Ninjamouse helps out in mapping out Oturan Online, and suports great ideas for the game. Currently learning spriting from Irhymer, richboy will help out with the ingame graphics of Oturan. Alex hosts everything, from the sites (not this one) the games server it self, and more. I am already Shikamaru, just need the rest, thank you! I'll go with Shino, nice idea by the way. well....I made Naruto..so...I will be Naruto! please, try that my name goes like GuzmanM, not Guz. cooler, but missing last "M"
Wow that looks pretty good!, great job! It would be cool if there was a background, by the way, do members of the Dev team put that banner in their sigs? well i guess you can, but it might be to big. I might make a chibi version for a sig. Oh Guzman i fixed your name finally, and i added an alternate with a background. (problem is the white edges on the people. the only prob is shikamaru, he has really white edge. hm.... yea.. well heres the chibi version, put it in your sigs! Hmm, i see what you mean, can you really get rid of that? um...i cant tell u something...........so........i will just tell this!!! DO NOT ANSWER TO THIS!! lol! ninjamouse1 wrote: Hmm, i see what you mean, can you really get rid of that? And guzman, Alex used to be on the team, he hosted the sites and the game. of taking out DJAlex out of the team!! !